Why are Cliradex wipes so expensive? So you went to visit your eye doctor and they recommended for you to use Cliradex wipes but you can’t figure out where to get them. Well your not the only one that had trouble finding them. My doctor recommended for me to use Cliradex because it could help me with my dry eyes and gave me a few samples. After using them and liking how they made my eyes feel I went on the painful journey of trying to find them. So to save you the time of visiting your local Walmart, Target, Rite Aid, CVS, or Walgreens trying to find them as I did I will just guide you to the few places I found that does carry Cliradex. If you are looking to purchase the Cliradex locally without purchasing it online then you are going to have to find it at one of your local doctor’s offices. On Cliradex’s official website there is a doctor lookup tool in which you can see which local doctor’s offices near you carry Cliradex. I recommend calling the doctor’s offices listed to make sure that they sell Cliradex there, some of them might just have the samples. If you do not want to go through the hassle of finding it locally, you can always make your purchase online. On the internet, there are a few places that you would be able to find Cliradex. Occasionally find Cliradex for resell on eBay, but I am not sure I would recommend purchasing these from there, you don’t know how long those people have had those wipes and since they are pre-moist it could be dry. One place you can purchase Cliradex online is through one of everyone’s favorite online retailers, Amazon. The real benefit of purchasing Cliradex through Amazon is if you need the wipes fast and have Amazon Prime to get the free 2-day or next-day shipping. Check the current price of Cliradex on Amazon. Otherwise, the other place online in which you would be able to find Cliradex wipes online is through their official website. On Cliradex’s website, you will find the eyelid wipes, the foam cleanser, as well as both of them packed up in a starter kit where you get the wipes as well as two bottles of the foam cleanser. The benefit of making your purchase through the official website is occasionally they will run promotions which could help you save some money. Check out the latest promo codes for Cliradex below. If you are looking for some ways to save some money you will find the most up to date promo code(s) for Cliradex’s official website below. Using Cliradex eyelid wipes are extremely simple, each towelette comes individually packaged similarly to how a hand towelette or alcohol pad is packaged. First thing is first you have to make sure that you wash your hands, and dry them with a lint-free towel before attempting to open the packet. After you open the package and get the towelette out, the towelettes are packaged folded in half so you would have to unfold it. After that, you would close your eyes, but just close them lightly and try not to squint your eyes. You would start by cleaning your eyelid, and move outwards to the surrounding facial areas, repeat for your other eye. It is important to make sure that you do not get any of it into your eyes. Note that when you use these wipes for the first time you might feel a cool, slighting burning, menthol feeling. From personal experience, this burning feeling will be much less after you use the product a few times. The burning feeling will generally go away after a couple of minutes if this feeling happens to not go away, or you have an allergic reaction, immediately stop using the product and contact your doctor as soon as possible. If you feel like the wipes are still too strong for you after a few uses, we recommend trying the foam cleanser, which is lighter and less harsh than the wipes. Still confused on how to use the eyelid wipes? Check out the video below from Cliradex on how to use their products. If you have eye conditions such as dry eyes, irritation, Blepharitis, or a Demodex mite infestation, you may have been recommended by your doctor to use Cliradex wipes. These eyelid wipes help relieve symptoms from those eye conditions and are designed to be a deep cleanse for your eyelashes and eyelids, but these wipes can be used on your face as well. Cliradex manufactures two types of cleansers, a towelette wipe, as well as a foam cleanser. Both the wipes as well as the foam cleanser are very effective at controlling Demodex mite infestations, and relief you from the irritation those mites may be causing. Below we are going to break down the main component inside Cliradex, as well as show you where to buy Cliradex wipes so you can get relief as soon as possible. Don’t have time for all the details? The best place to buy Cliradex Wipes is through their official website. Also referred to as Terpinen-4-ol, this component is one of 15 main components that is in Tea Tree Oil. In a study that was published to the National Center for Biotechnology, researchers were trying to figure out which active ingredient within Tea Tree Oil that was responsible for the killing effect of Demodex mites. What they found was that out of all the components of Tea Tree Oil that they tested, they found that 4–Terpineol was the only ingredient within Tea Tree Oil that was not dose-dependent for its killing effect of Demodex mites. Demodex mites are microscopic mites that are a part of a community of microorganism that lives within and on the human body. For many of people, Demodex mites do not generally cause any issues and are harmless, however, if there are too many Demodex mites on your eyelashes, or skin this could cause issues such as red skin, rough texture to the skin, burning sensation, and eye irritation. 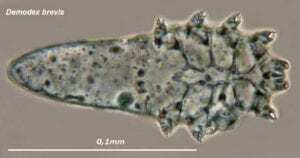 There are two species of Demodex mites that are commonly found on humans. Demodex Folliculorum – This species of mites are generally found in your hair follicles usually on your face, but they can also be found on your eyelids in the meibomian glands. These mites feed on your dead skin cells, oils, and hormones that build up there. Demodex Brevis – This is the other species of Demodex mites that are found on humans. The key difference between Brevis and its counterpart, folliculorum is the location where the mites can be found. While folliculorum generally stay around your face, Demodex Brevis can be found all over your body. These mites feed off sebum that is present in the glands that are attached to hair follicles underneath your skin, therefore oily skin can lead to Demodex Brevis mites. The thought of microorganisms living on your face can be quite alarming, it is a lot more common than you might think, and because they are naturally occurring, they tend to be more common in older individuals more so than children. There should be no price placed on eye health. While these wipes might seem expensive at roughly $40 a box for a 24-day supply. There is no product on the market today that is made with 4-Terpineol like Cliradex is, and many people that have tried Cliradex, have had great success with relieving the symptoms of the eye conditions that they are trying to get relief from. By comparison, a 30-day supply of Ivermectin cream that is used to treat Rosacea will run you $320. Therefore $40 is nothing in comparison. Cliradex wipes offer you a small convenient and effective way to relieve symptoms of dry eyes, blepharitis, Demodex and will provide you with relief from itchy, or irritated eyelids. Many people find that relief comes only after a couple of uses, but it will vary from person to person. What are you waiting for? Get relief today, VISIT THE CLIRADEX WEBSITE HERE! How are Cliradex’s products working for you? Let us know below! If you have any questions or comments don’t hesitate to leave them below and we will get back to you as soon as we can. Great Information! I never knew about Demodex mites but they sound interesting. It is always weird to think that we are hosts to billions of tiny creatures, almost like a mini Earth! 4 Terpineol sound interesting. It sound like it is a natural pesticide for Demodex mites, if I read that correctly. I think I would like to try these wipes to see what it feels like before and after use. I t always feels nice when your face is lean and fresh! ]Hi Renton yes it really is weird thinking about how our body host many microorganisms and they don’t tend to really bother us for the most part. The great thing about these wipes is that they really do leave your face feeling really fresh. I have a rough skin, I use some of the best soaps and skin creams that are claimed to enhance soft skin, like Aloe Vera and Nivea, but it seems its not working. After reading this article, I am starting to think may be its Demodex Brevis. I have visited my doctor bubt the skin creams he advised me to use, never worked. I will definitely try Cliradex in the near future, thank you so much. Hi there, the only way you would know for sure would be to have your doctor do a skin biopsy. Thanks for stopping by! I agree that when it comes to our eyes we should not consider the cost. These wipes may seem expensive but we shouldn’t settle for some cheap wipes that don’t know their effects. I may give these a try as I often have irritated eyelids. Thank you for bringing it to my attention. Great read. Hi Stratos, thanks for stopping by! Please do stop by and let us know how they worked out for you. Thanks a lot for your education today about using Cliradex Wipes. I have personally experienced some serious eye issues some years back. Even though it looks a bit better now. I think I still need some protection due to my regular exposure to the computer screen and the rays that keep entering my eyes. Right after completing my IT training as a professional System Engineer, I started facing serious eye problems. My eyes will dry completely, sometimes to the extent that I can’t even talk to people looking straight in their eyes. And tears were constantly flowing through my eyes especially when it’s day time and the sun is a bit hot. I visited a professional eye clinic in my country, and they made some suggestions about using some eye drops and also making sure I wash my face regularly with warm water and soap. I did it and I could see some good effects on that. But I have never heard about Demodex mite. Do you think using a clean warm water on my eyes regularly can help control these microorganisms? If not then I probably need to get one of your recommended product, the Cliradex Wipes. I may have to take advantage of your promo codes so I can get some discount on them. Hi Stephen, no my knowledge if you have Demodex mites just using warm water will not truly help keep them in control. People have success using diluted Tea Tree Oil as a facial cleanser to help control them, or a facial wash that has Tea Tree Oil in it. Take care! Thank you Huy, I’m so grateful to have found your article, I was looking for a remedy for my sister in law who suffers from demodex mites. I hope these Cliradex wipes will help relieve the situation – the Amazon reviews look very positive! As a last resort, would applying heavily diluted tea-tree oil work too, or is that perhaps too strong to use on eyes? Hi Nadia, I am glad you found the article helpful! Tea Tree Oil has been used for many years to keep Demodex mites in check. It was only until recently that researchers figured out which active ingredient in Tea Tree Oil that was the most effective against Demodex mites. Before that another study that used a 5% solution of Tea Tree Oil wiped once a day helped reduce the amount of Demodex mites and kept them in check. I wear lenses but I always have problems with dry eyes because of that. So if this is like you’ve mentioned, to get rid of that, and also increase the health of my eyes, i’m going to try this! So, really, many many thanks for sharing it. Hi Emmanuel glad you found the information helpful! Thanks for stopping by! Thank you very much for this great post, I find it really nice and good. You must have put a while lit of energy into writing this and I really appreciate that. One thing is for sure that Cliradex wipes remains the best out there, going to put those coupon codes to use thanks again! this is the first time I’ll be hearing or seeing anything on Cliradex and Demodex mites, and it seems so weird and funny on how all these tiny microorganisms inhabits every part of the world. Moreover, I’ll love to know if Cliradex will help whiten my eyeballs, because I’ll really want my eyeballs whiter than I have them now. Hi there, Cliradex wipes are more for your eyelids as well as the rest of the surface of your face. As far as whiter eyeballs there are plenty of drops out there that can do this, also a change in diet may help that as well. Nice post! My brother has issues with eye sensitivity and I had been looking for this but I couldn’t remember what they were called for the life of me. This is exactly what he needs. Bookmarking it and sending it to him. Thank you so much! Have you found any drawbacks or side effects from using these wipes? Hi Eric, personally for me I never had any side effects, some people have a hard time dealing with the smell and the wipes are strong so the first few times it stings a bit. Also if you are allergic to tea tree oil you definitely should not be using this. Wow I have been complaining about dry eyes, and some eye irritation to my eye doctor. He never did mention about this Cliradex wipes. I’m going to ask him about it on my next visit. Do I need doctor’s prescription to buy this? This seems like the easiest solution to my eye problem. Thanks for sharing. Hi there, you do not need a prescription to purchase Cliradex and it is often recommended by most doctors for various other more serious conditions. This has been so helpful. I have been looking for a product to help with my dry eyes. I have never heard of this one before and I have never heard of the eye wipes before. I am definitely going to give this a try.Cliradex sounds really good and with your help I now where to purchase it. Thank you for this in-depth review of where to purchase Cliradex. These wipes are definitely on the more expensive side and it is great to be able to save money in any way you can these days. Thanks Huy! Huy, thank you for an informative article. I never knew about the Demodex bugs which is quite a creepy thought. However, spending long hours in front of my computer daily, my eyes are at the end of a session very weary and I shall gladly order some Cliradex to see if it brings any relief. Will keep you posted.